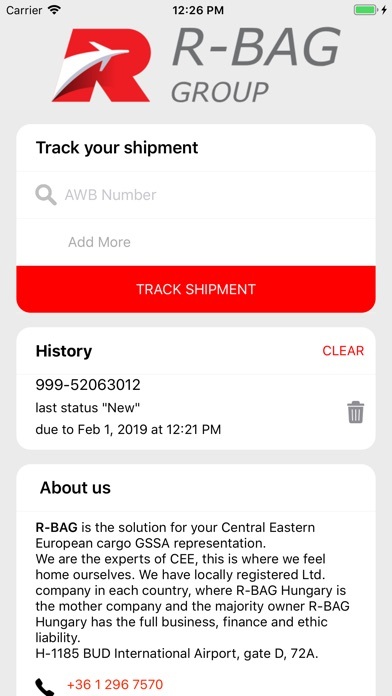 Track and Trace your R-BAG Shipments. 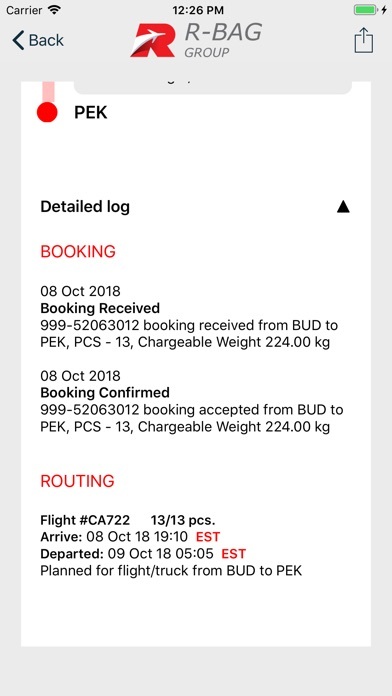 With this application you can find out information about your cargo which R-BAG is transports. 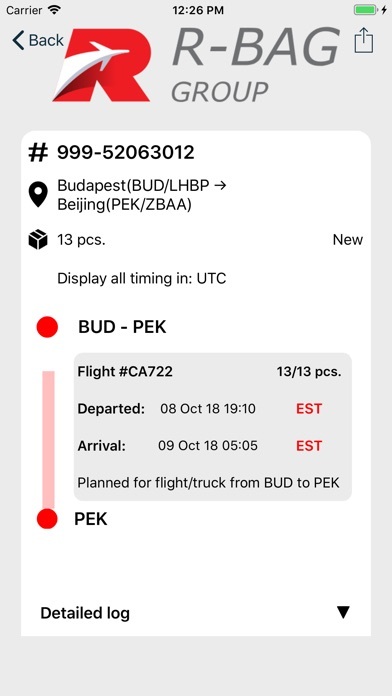 In the section "Track your Shipment" you can enter one or more of your awb-numbers by which information about your shipment will be found. The history section stores the time of requests and the status of your shipment.